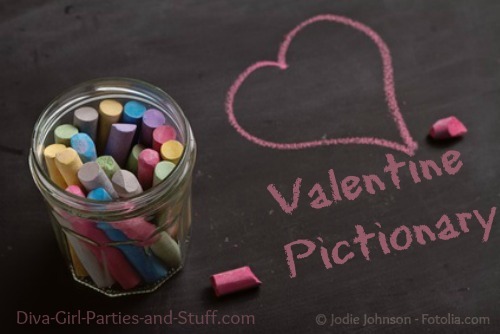 Pictionary is always a lot of fun, so if you're planning on playing a few rounds of Valentine Pictionary at your valentine party, look no further. Below you'll find a list of words and phrases to use for your party. 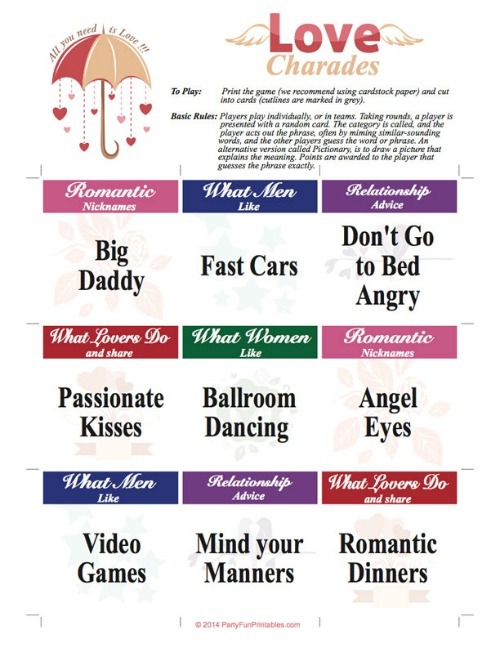 There's also a list of popular love songs, or if you prefer printable cards with different categories there are also a few options provided. So pull out the chalk and get ready to laugh at the artwork your guests manage to get onto the board in an attempt to win. Note: There are hundreds of love songs. If you need more just do a search for "top love songs" or "top wedding songs". 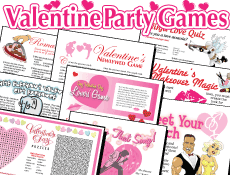 Valentine Party Games Pack with Over 20 Printables!